Sign-up and receive Property Email Alerts of Residential Estates in Cavendish Mews, Newlands. Life here is all about choice. And choice is the perfect word to describe Cavendish Mews. This Estate is Located in Western Cape, Cape Town, Newlands. 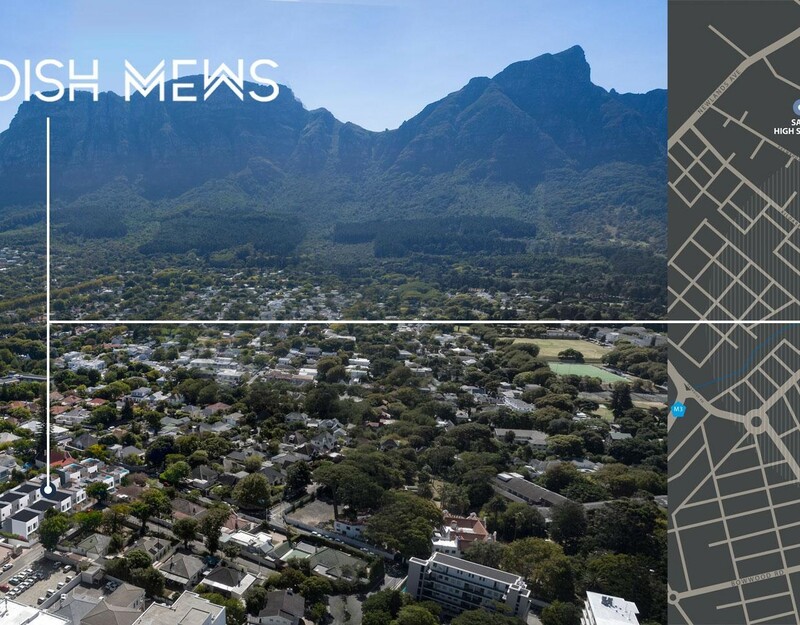 Like its counterparts in the prime areas of London, Cavendish Mews in Newlands is a quiet cul-de-sac in the most desirable location. But unlike London mews these freehold title homes have been ingeniously designed to embrace the needs of our 21st century lifestyles. 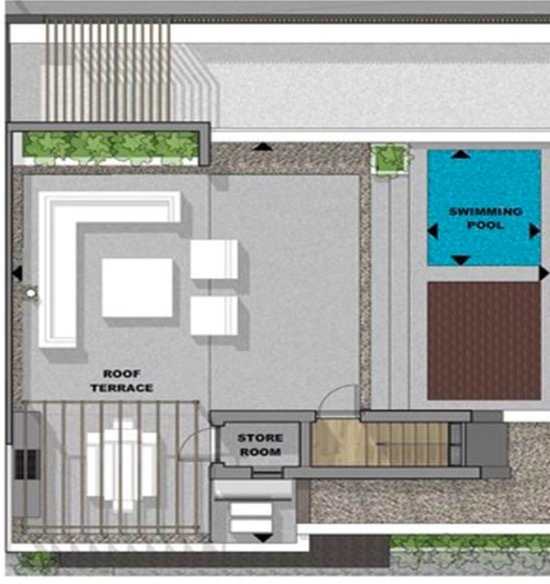 Here, twelve homes, ten of which have stunning roof terraces, have been planned to ensure both a contemporary and secure environment whether you are upsizing or downsizing. The design in Cavendish Mews is a contemporary interpretation of the traditional London mews. The architectural design gives Cavendish Mews its sense of place, while contrasting hues and varied materials give these homes a unique identity. Clean, crisp contemporary detailing and playful components ensure that the design stays fresh and remains relevant well into the future. Downstairs, a muted palette of Oak timber floors, crisp white walls and simple ceilings with recessed, low-glare LED downlights provide the backdrop to the more dramatic dark charcoals and whites of the kitchen cabinetry and island unit. A painted accent wall behind the TV provides a contrasting focal point to the main space. Large format aluminium sliding doors help to blur the line between inside and out, extending the living area out into the walled courtyard and the backdrop of lush green landscaping. Urban Space focuses on creating secure bespoke residential developments in Cape Town's Southern Suburbs. Our success is based on our knowledge of the area, the careful purchase of land in first class locations, elegance of design and insistence on in-house control of the entire design and construction process along with attention to detail that borders on the obsessive. The result is an impressive track record of desirable homes that provide exceptional value. The Estate is in close proximity of the Vineyard Hotel, Kirstenbosch Botanical Gardens, Newlands Village, UCT, Newlands Rugby & Cricket. Cavendish Square is on your doorstep.